We’d love your help. Let us know what’s wrong with this preview of The Reclamation by Thorn Osgood. Industry has been doing Corilan is determined to do something about Earth's rapidly deteriorating condition. How to make this happen? She's not sure. When her father, Nolan, contacts her after twenty years of absence, she learns about his birthright and her heritage in the School of Ancestral Guidance organization. Joining SAG results in an unknown path that she must lead. 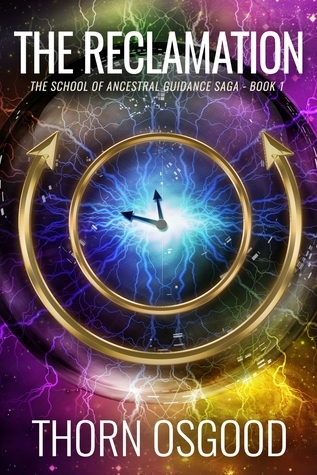 When the School of Ancestral Guidance, an earth guardianship organization, gets a new member, mysterious possibilities unfold. Corilan Troxler, learns of her SAG legacy, meets an extraordinary life form and makes strange choices. With no inkling of the consequences, she must succeed with her message to the people that care about Earth and protect them from those opposing the choices they make. To ask other readers questions about The Reclamation, please sign up. I won this for a friends granddaughter. She says she had a little trouble getting into it at first, but she likes it a lot!